Do you know how so many people today struggle to balance their home life and work life and still find time for themselves? Perhaps you can relate. Perhaps in your attempt to balance home and work commitments you can’t find time, or the energy, to squeeze in a brief workout — or even the time to read a book or take a class to improve some area in your life? You know you don’t want to cheat either home or family but your life cries out for more! The good news is we have a solution for you. We operate from a philosophy of living Life Unleashed bringing balance to critical areas of your life: Improving your health by way of living the 1. Morinda lifestyle; 2. Mind, by supporting your 3. Personal Development; 4. Family, by providing the tools to spend quality time and focus on your spouse, children and extended family, and 5. Finances, helping you provide the resource you need to live the lifestyle you want. Before we explore each of these, let’s see why so many people are out of balance in the first place. The pressures of modern living leave us very little time for family or personal pursuits. Trying to fit everything in means we often don’t sleep enough for our bodies to recover from the day’s stress. In addition, we face an onslaught of unprecedented environmental challenges that take a toll on our health. Subsequently, our natural rhythms and equilibrium are disturbed and our lives are thrown out of balance, often with disastrous results. In 1996 Mr. Kerry Asay founded Morinda Inc, and disrupted the health supplement industry with the introduction of Tahitian Noni Juice that became a multi-billion dollar industry virtually overnight. Today Morinda uses its unquestioned noni expertise to our mission to help everyone obtain the things want the most: Better health, better appearance and financial freedom. That is how Morinda changes lives all over the world. Everyone is looking for better health along with more financial and time freedom; with Morinda, you can have it all! In December 2018, NewAge Beverage Company, backed by billion dollar venture capitalists T Rowe Price, Black Rock and Prudential, merged with Morinda. For opportunity seekers, this is the perfect storm of events that will create the best entrepreneurial opportunity in a generation. A leading direct sales company with a proven track record and global strength combined with the energy of one of the hottest companies on NASDAQ. 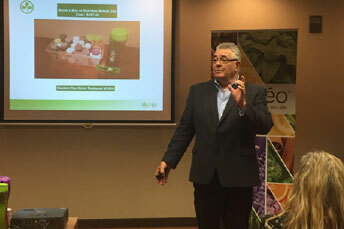 Morinda’s unique blend of products and new channel business opportunities allow you to create the life you want and deserve, a life with endless possibilities. Feel your best, look your best, be your best, and have the energy and vitality needed to enjoy it. This is Life Unleashed. Discovering and living a balanced approach strengthens each of us and results in a more satisfying, healthy, and rewarding lifestyle. We offer you the means to attain this balance through a blended strategy. You create a wellness environment in your body while at the same time establishing a home-based business to introduce this concept and the related products to the public. Jaze11’s motto is “Life Unleashed,” based on a four-pillar concept that encompasses nutrition, active lifestyle, financial freedom and personal development. Most people believe that when we’re over 50 our body starts to fall apart and we can expect to live with aches and pains. This myth is prevalent in our society. Studies are showing that we are meant to live a life that is enjoyable and purposeful-physically healthy and mentally sharp, full of vitality-for up to 120 years! In his book Defy Aging, Michael Brickey PhD, reports on scientific studies about aging as well as interviews with vibrant centenarians to learn from their experience. He determined that 30% of longevity and vitality is attributed to heredity, while 70% derives from our attitudes and lifestyle. Clearly our health and well-being are ours to determine. His conclusions corroborate many other recent studies: diseases (e.g. heart attack/cancer/diabetes) may be preventable. They are clearly affected by what we eat and drink, the amount of stress in our lives, and how we think (attitudes) – i.e. by our lifestyle and environment. A traditional approach to health focuses just on the body-our physical health-but reliable research by Brickey and numerous others is showing that we cannot separate our body from our mind, our spirit, and our lifestyle. How do we achieve this well-being and how can we make healthy choices? We offer a vision of a broader approach to health-with a focus on a balanced lifestyle that includes health in 5 areas: body, mind, family, society, and finances. We can live a meaningful and fulfilled life only if we are balanced in all these areas. Stress or imbalance in any one area affects all the others-and so leads to “dis-ease.” Conversely, improvement in one area has a positive effect on all the others. A basic assumption of all theories of natural health is that when the body is functioning as it was intended, without excess stress, it has the capacity to heal itself. Studies show that 90% of pain is a result of stress and worry, so rather than reach for pain-killer drugs, the best way to care for our body is to reduce stress and keep the body systems functioning well. Instead of treating symptoms, we must look for the underlying cause of the malfunctioning body! All life begins and ends with cells. CELLS create TISSUE which creates ORGANS which create SYSTEMS which create the BODY. So a critical question is: What do cells need to stay healthy? Consider an acronym to describe the cell’s basic needs: OWNER…Oxygen, Water, Nutrition, Energy/exercise/elimination, Rest. Disease comes when these basic cellular needs are not met and the body is unable to function in its self-healing capacity. As previously mentioned, many illnesses are stress-related and therefore preventable. Stress comes in many forms, but is fundamentally the result of the way we think and experience life. Our outlook on life is a significant factor in our well-being. Peace of mind is greatly enhanced when we are grounded in a spiritual life that brings perspective and meaning to the challenges of life. A positive attitude of gratitude reduces stress, while a negative attitude of worry and fear creates tension and dis-ease. This is at the heart of Brickey’s research in Defy Aging, along with his finding that optimism and a positive attitude greatly diminish the incidence of depression and its devastating effects of impairing sleep, appetite, energy levels, the immune system and the capacity to enjoy life. Just as the food we eat (and absorb) determines the health of our cells, so what we feed our mind determines our mental well-being. We “carry our issues in our tissues,” so the emotional baggage and the mental attitude we are carrying significantly affect the health of our body. An excellent resource on this topic is MindBody Medicine: How to Use Your Mind for Better Health, a collection of articles “By Leading Authorities from the Nation’s Top Medical Centers,” edited by Daniel Goleman, Ph.D., and Joel Gurin. In addition, natural law shows that we receive in life in the measure that we give. The importance of giving is one of the innate laws of human nature. We cannot have fulfilled lives if we are not contributing to the well-being of the world of which we are an integral part. Yet sometimes, when our lives are unbalanced, the stress of “survival” keeps us from giving to society in a way that gives depth and meaning to our lives, the kind of giving that creates an exchange of positive energy with the world around us. Family, the community within which we share our lives most intimately, is a support and “belonging” we all need as human beings. Brickey’s research clearly reveals that engagement in vibrant, supportive relationships provides a proven boost to overall health and longevity. Whatever form that family takes, it brings its own joys and stresses. While most people say that family is a top value in their lives, this priority does not always manifest itself in reality-often bringing much inner tension, guilt, frustration, etc. Not living in harmony with our values creates significant stress that takes its toll on all areas of life and health. Family stress also comes in the form of relationship tension (marital, parent/child, etc.) leading to “dis-ease” of many kinds. Some people struggle with the desire for “family” and must look for others to fill that need for intimacy and a sense of belonging. Finances are one of the most stressful aspects of peoples’ lives. For many, finances are the central factor when making significant decisions (how they spend their time, where they work, where they live, etc.). While we know money does not bring happiness, fear about financial security can be the source of much stress and an underlying cause of “dis-ease” in all areas of life. Spending hours away from the family, at a job that one doesn’t enjoy-just to get a paycheck-is unfortunately a frequent scenario. Often people fail to see the connection between stress in this area and symptoms of sickness in all the other areas. Unless one is making a living doing something meaningful-in harmony with their values and life purpose-there will be an unconscious inner tension eating away at the body and mind and spirit, as real as the physical disease of cancer. Ironically, this misalignment, in the name of earning a living, actually carries long-term financial costs! Clearly our health and well-being are ours to determine – and balance is the key. What are the areas where you feel out of balance? Are you living your life in a way that is enjoyable and purposeful – full of vitality and health in all areas? What would you want to change? What quality of life do you choose? 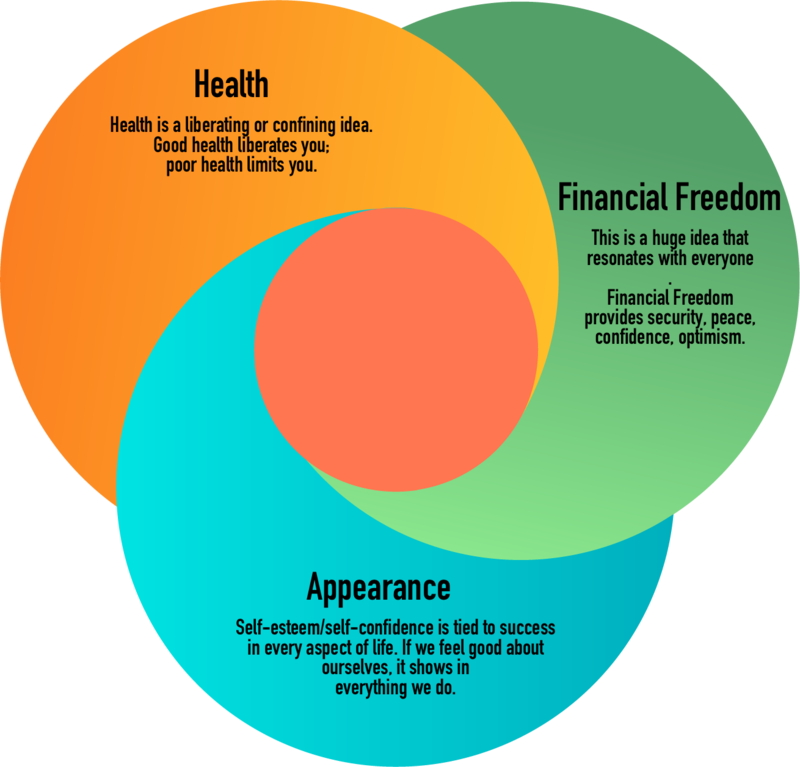 We believe that there are core pillars of health, without which no one can genuinely claim to be healthy: Healthy Body, Mind, Family and Finances. It is hard to argue with this. Despite our preoccupation with physical well-being, is it not true that someone with a sick mind is also not healthy? How about a person without a visible means of support, chronically broke? Money sure provides the comfort that makes life worth living. So you get the idea, the term “health” entails more than just the absence of cancer or other visible health issues, much like the term ‘peace’ means much more than the absence of war. We operate from this premise. We believe that balance is necessary for a person to enjoy a truly healthy and satisfying lifestyle. Quite a few professionals have bought into this philosophy.